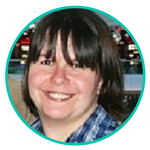 Linnea is a Marketing Communications Specialist at TuGo. With a mix of Swedish and Filipino heritage, she loves exploring new cultures and cuisine from all over the world. 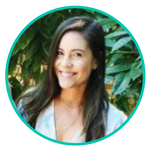 A few of her favourite adventures include living pura vida on the beaches of Costa Rica, exploring her grandparents’ hometowns in the backcountry of Sweden, and soaking up the scenery in Lake Como, Italy. 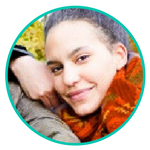 Marie is TuGo’s Translator and French Social Media Coordinator. She’s from Quebec but she’s lived in Germany and two other Canadian provinces. The one thing still connecting her to Quebec is her love for hockey and the Montreal Canadiens. Returning to Germany after 20 years was one of her favorite trips. 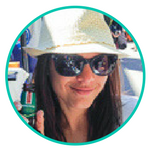 Sarah’s a Marketing Communications Specialist at TuGo and a bona fide travel enthusiast. Some of her most unforgettable travel experiences include taking in the breathtaking views from the Great Wall of China, feeling weightless in the Dead Sea in Jordan, and getting lost in Ghana’s many bustling markets. Wherever Sarah travels, she can’t resist a well prepared meal or a stretch of sandy beach.